That's great! When I used to upload Town stuff to YouTube, I was limited to 10 minutes of footage. It takes hours and hours and hours to do it but just gotta persevere! Not sure when they updated the time limit? Must have the patience of a saint but thanks. Why don't we use the Skircoat Shed as opposed to the South Stand? I wish we could, but until I win the lottery and gift the council the funds to turn it back into terracing and build a little beer tent then we'll forever be in the South stand. The South stand is great when it gets going but the lower roof in the Skircoat would amplify it so much. Your right but the pillars played havoc with the view. 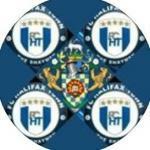 I imagined the '3 hours of Halifax Town gold' said in Alan Partridges voice. It just felt right. Textbook ;) that's what I was going for. Back of the net! Cashback!